Paul, originally from Hallsville, TX, and Lena, from the Ukraine, were married in the Ukraine in 2012. 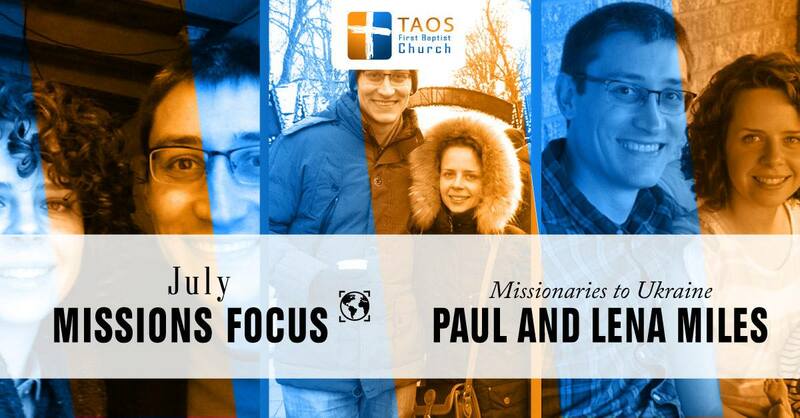 Paul and Lena serve as disciple-making missionaries, translating the Bible and Christian materials into Ukrainian and Russian and teaching Ukrainians the Word of God in their native language. They serve out of the Word of God Church in Lviv, Ukraine. Paul and Lena are currently in the United States, having come here for the birth of their first son, Oliver. To learn more about the Miles, click here for their website.